Another historical milestone has been reached by the Menston Action Group (MAG), on behalf of all residents, in opposing inappropriate development in the village when the Court of Appeal allowed a MAG challenge concerning development on Derry Hill to go to Judicial Review. Full story below. St Mary’s Menston’s now annual concert to support its South African Bambisanani project is this coming Friday (24th April) and very well worth a visit. Last year’s concert was superb and many of the same artists, including the Leeds Youth Jazz & Rock Orchestra in which several St Mary’s students play, are featured. This orchestra will transport you back to the ‘big band’ era then take you on a journey to the rock & roll age. On the other hand, there will be some wonderful singing, both solo and choral, and the fun of a ukulele band. Places can be reserved by calling in at St Mary’s, Pupils’ Reception, between 1.30pm and 2.00pm or turn up on the night. Tickets are £5 (£3 concessions). Following Bradford Council’s approval of a scheme from Barratt Homes to develop 176 houses on fields off Derry Hill, Menston, the Menston Action Group challenged the decision in the Leeds Administrative Court and were given permission to go to Judicial Review on one of the two grounds on which they challenged the approval: the validity of the procedure adopted by Bradford Council when making their decision. However, MAG were refused permission to proceed with their primary ground, which is based upon a much wider issue of whether the condition and sustainable drainage principles required Barratt to put forward a drainage scheme that addressed potential improvement of flooding issues around the Derry Hill site, including a nearby electricity substation that is prone to flooding. Now, the Rt Hon Lord Justice Sullivan, sitting in the Court of Appeal, has decided to allow the Judicial Review of the proposed development at the Derry Hill site in Menston to proceed on all grounds of challenge. Alistair Kennedy, who is leading the team of solicitors from Schofield Sweeney, acting for MAG, said: “This is a fantastic result for MAG and the residents of Menston, who are desperately worried that the proposed development at Derry Hill will make flooding in Menston much worse. MAG also have very serious concerns about ongoing flooding of the electricity substation adjacent to the Derry Hill site and have raised health and safety concerns. For the Court of Appeal to acknowledge the wider importance of this challenge and give MAG the opportunity to bring all of their concerns before a full hearing of the Administrative Court is very encouraging”. This is a historical decision which has far wider ramifications for other communities throughout the UK fighting inappropriate development. Of course Barratt and Bradford Council have brought out the big guns to oppose MAG; it is a great pity that it is necessary to go to very costly litigation to oppose such development, especially when a referendum in the village produced such resounding opposition to the scheme but, although local residents raised over £100,000 to fight the Bradford Council decisions, now more money is required although Schofield Sweeney have done much work without charge. More information and the Press Release issued by Schofield Sweeney on the Court of Appeal decision will be posted on the MAG website. 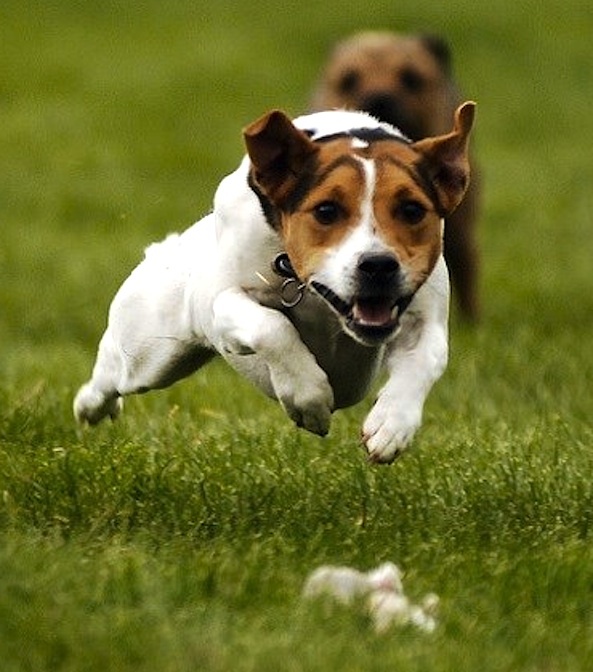 There’ll not only be four and two wheeled speed machines at the first Biennial Menston Vehicle Show on Bank Holiday Monday, 5 May, but some four-legged speedsters too as Terrier Racing comes to the village. Anyone with a terrier, of any shape or size, is invited to come along and take part in the fun at 1.30pm at the Malt Shovel in the village centre. There will be rosettes and doggy toys and treats to be won. The one to beat is Rocky, who lives in Menston, shown in the picture racing at the Nidderdale Show. It is understood that he has not been beaten in four years! The show will also be an opportunity to sample something else new, the new tea shop (now how right for Menston is that?). 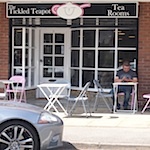 Named ‘The tickled teapot’, it will be open on the day serving not only tea (in teapots!) but lovely cakes, even things like panninis with salad, and it has a proper Italian espresso machine if you prefer coffee. If the weather’s good you can sit outside. It’s just off Main Street in Croft Park, where the greengrocer used to be until recently. Plenty of other places will be open for refreshments of all kinds, including Solo at the top of the village, the Village Bakery right in the centre and, of course, the pubs and clubs. 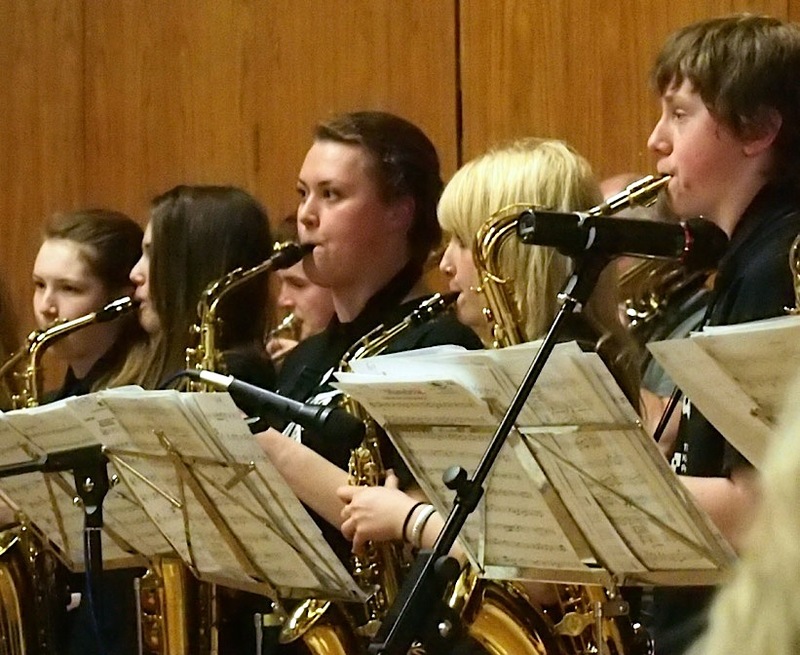 The Leeds Youth Jazz and Rock Orchestra, choir and musicians from St. Mary’s Menston and Benton Park high schools, should make for a great evening at 7.00pm on Friday 9 May at the Menston high school. Paying homage to Nelson Mandela in the ‘Spirit of Madiba’, the concert is to raise money for the school’s great Bambisanani project in South Africa. Details on how to get tickets are in the Events listing for 9 May. Menston’s Victorian drains meant ruling out a full-size tank at the Vehicle Show, though one was offered, but there’s a fascinating alternative: a 1/10th scale fully working model of a German Tiger tank. It doesn’t fire shells from its turret-mounted gun, just puffs of smoke, so there’s no need for St John’s Ambulance, though they will be at the show. The tank will most likely be outside the Menston Arms, together with the small classic cars and the Black Forest fairground organ. For more details of the show, which takes place at various locations around the village from 11.00am, click the special Vehicle Show page here or the Show poster in the right sidebar.